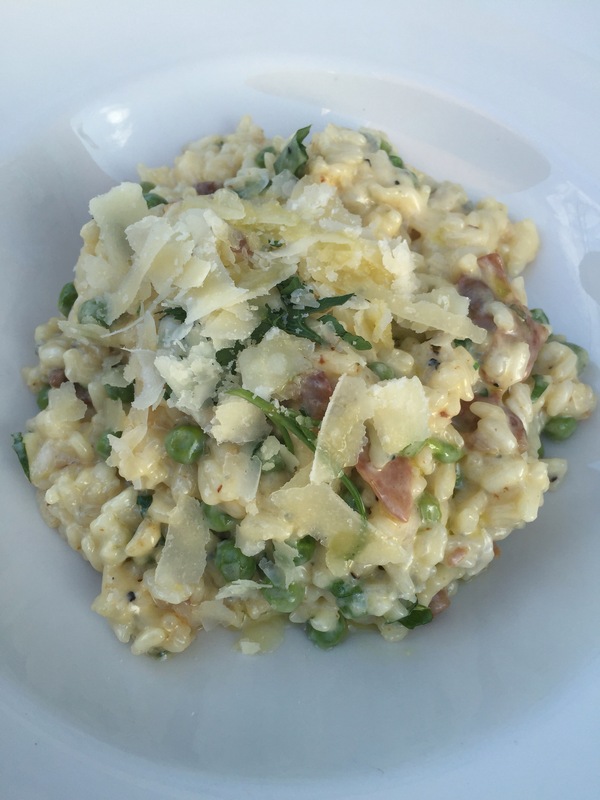 It’s hard to be the ‘newest’ Italian venue in a street renowned for Italian food, but 377 on Lygon had done just that. Attached to the Abruzzo Club, this Italian eatery on Lygon Street in Brunswick East has had a makeover and name change. We walked in expecting to just get a table but were surprised to find there were none available inside. 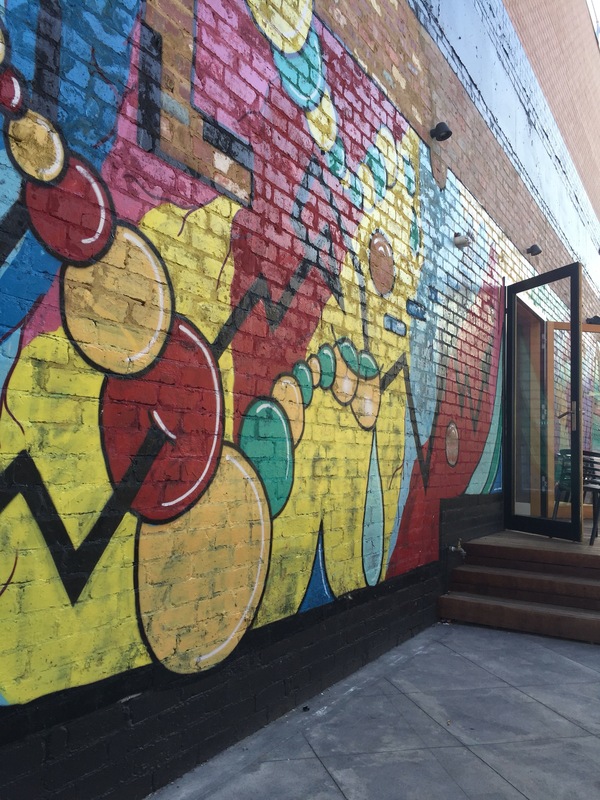 It was a pleasant evening and we were quite happy to sit outside, especially with the new artwork all over the walls. The staff were from Italy, friendly and happy to chat with us about the food and their home. The menu wasn’t aggressively Italian but there was a huge selection of meals including starters, pastas, risottos and pizzas. 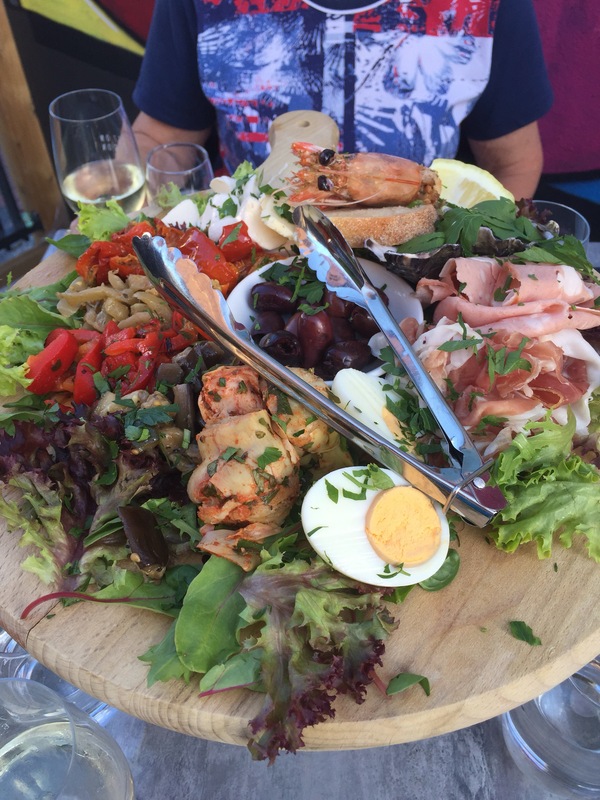 We started with the antipasti for one, and we’re very glad we ignored this particularly serving suggestion – this dish was HUGE! There was a bit of everything to enjoy but the highlights were definitely the sundried tomato, Jamon Serrano ham and the buffalo mozzarella. 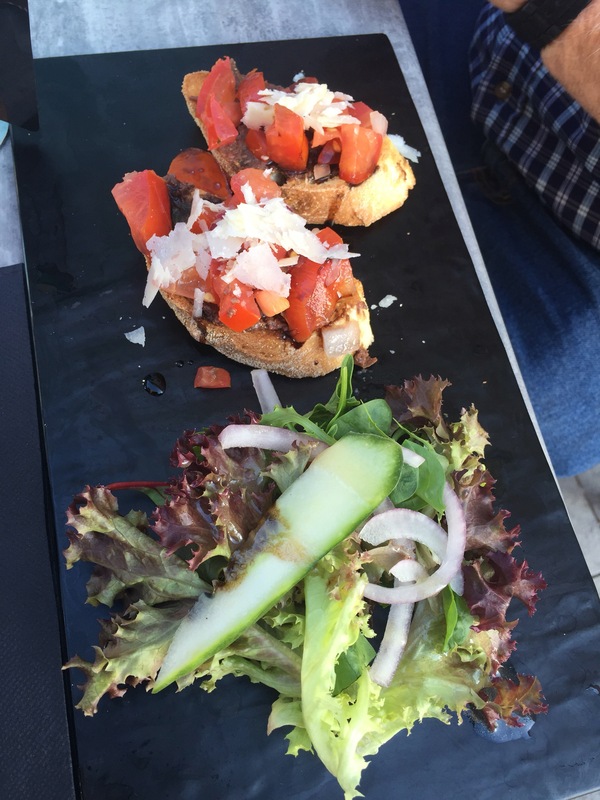 Our other choice was the Bruschetta, served with an olive tapenade, tomato, balsamic and shaved Parmesan. It was a nice, classic combination of flavours that just works. Despite the balsamic to cut through the heaviness this was still quite a rich dish and we tend to prefer the lighter, more tangy styles of bruschetta. We also tried the Diavola pizza. It arrived quite a bit later than the other dishes and had a thin base with a puffed and crispy crust. 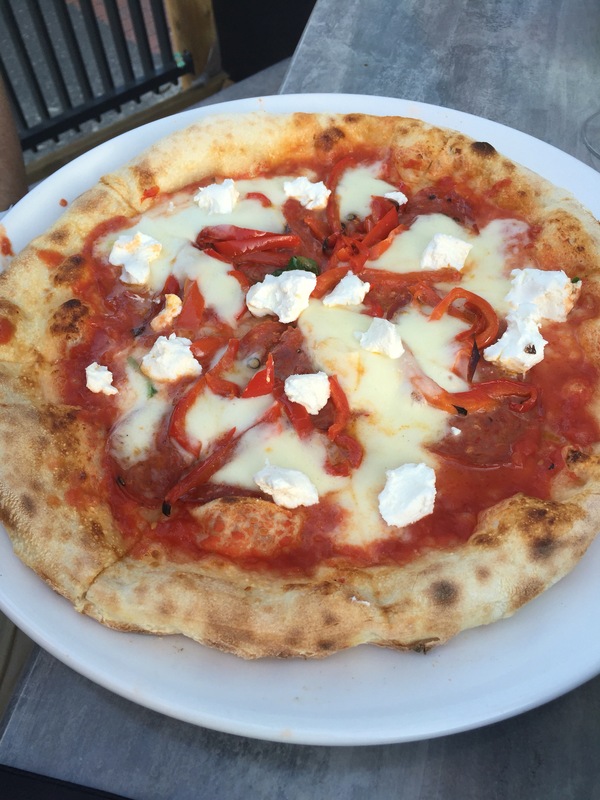 The toppings of spicy salami, capsicum, goats curd and buffalo mozzarella sat on top of a light tomato base. It was a classic and delicious flavour combination. 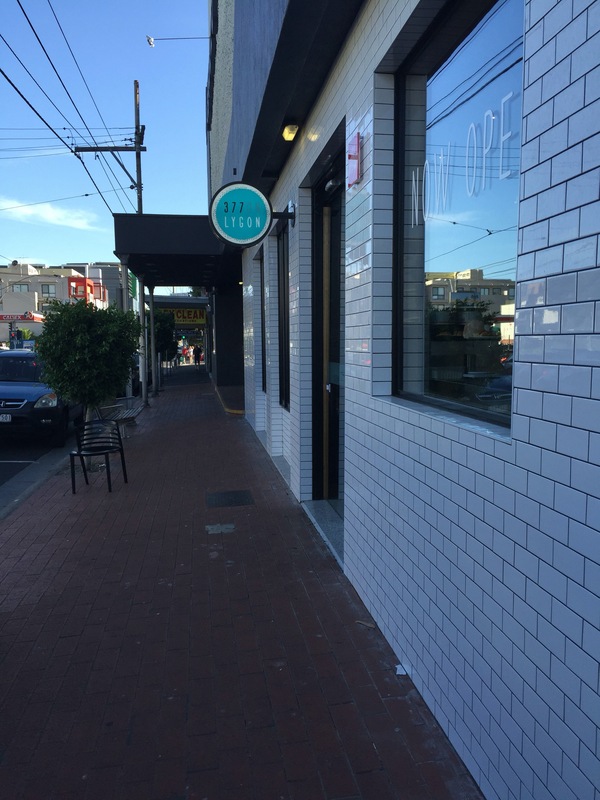 We loved the new and improved 377 on Lygon and are already planning to return for more!